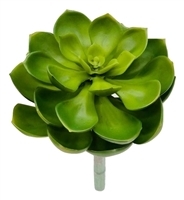 Succulent Red End Pick 10" long with green on the inside. 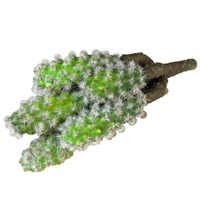 Cactus Pick 7.25" long. 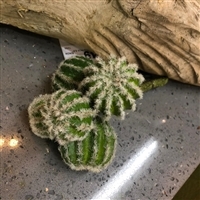 7 cactus's attached to the pick. 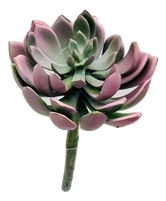 Three Pick Succulent 8" long with the three succulents with their own stem connecting to one. 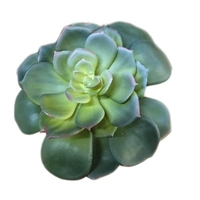 Green Red Succulent 9" long with green on inside and red at the ends. 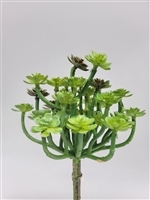 Succulent Green Pick 8" long. 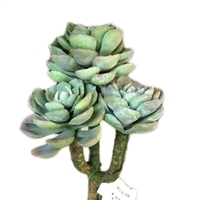 Succulent Pick Green 8" long. 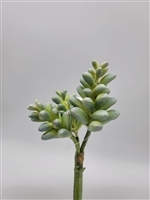 Succulent Pick 8" long with white on the insides going to green at the ends. 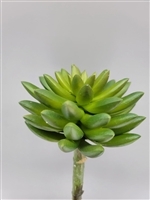 Green succulent Pick With Red Ends 8" long. 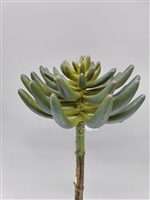 Succulent Round End Pick 9.5" long. 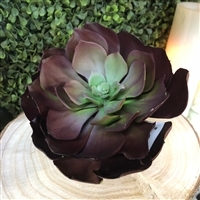 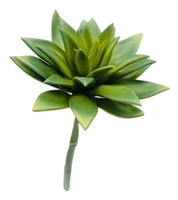 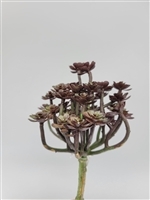 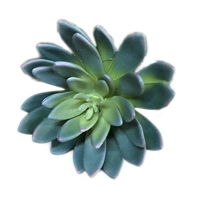 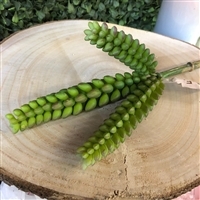 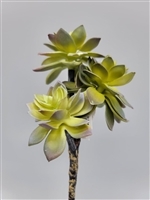 Sharp End Succulent 9" long with yellowish inside and green ends.